Last year, when my wife and I visited Disneyland for our honeymoon, we had the great fortune to stay in The Disneyland Hotel. Though it hasn’t always been owned and operated by The Walt Disney Company, it has always been a part of the Disney story. In the summer of 1989, Joe Aguirre gave us a glimpse at the hotel’s history and future in the Disney News. It was also mentioned recently in an interesting article on the Queen Mary by Ken Pellman over at The Disney Blog. Early last year, The Disneyland Hotel in Anaheim, California, officially became one of The Walt Disney Company’s growing number of fine resorts. Although one of the newest members of the Disney family, the 60-acre resort actually has a rich history that spans more than three decades – having opened in 1955, just three months after nearby Disneyland first opened its gates to a curious world. During the past 34 years, the luxury hotel has been dramatically transformed from a hundred-room motel amidst orange groves o a beautifully landscaped, 1,174-room complex that has become a vacation destination in itself. In 1954, when Walt Disney was building Disneyland and needed accommodations for the many guests he hoped would flock to his innovative Theme Park, he approached Jack Wrather, a Texas oilman and television pioneer. Wrather was the owner of several television stations and producer of “Lassie,” “The Lone Ranger,” and “Sgt. Preston of the Yukon,” among other popular programs of the 1950s. At the time, Anaheim was a sleepy little town surrounded by orange groves and farmland. In the entire community, there were only seven motels, with a total of 87 guest rooms. The Disneyland Hotel opened with 104 guest rooms on October 5, 1955 – the first major resort hotel to be built in Southern California since the early forties. Even as these first rooms opened, construction was already underway on future additions to the Hotel, including the lobby, restaurants, shops and meeting rooms. Despite skeptics’ early predictions, Disneyland proved an overwhelming success, and its phenomenal popularity influenced the development of The Disneyland Hotel as well as the surrounding community. In just one year, the Hotel nearly doubled in size to 204 guest rooms and suites. As an interesting touch, each garden room patio had its own orange tree – part of the original orange grove carefully sidestepped when the Hotel was built. Five years after its debut, the Hotel had grown to 300 guest rooms and added a 13,000-square-foot convention center. The following year, 1961, The Disneyland Hotel became the only hotel to be linked to the Magic Kingdom via a 2-1/2-mile expansion of the Disneyland Monorail system. According to Nunis, “Walt saw the Monorail as ore than just an attraction, but as a future transportation system. He wanted to demonstrate its potential for rapid transit, and so he had the Monorail track extended to reach the Hotel.” Of course, the latest generation of the Monorail continues today to transport guests between the Park and the Hotel in streamlined comfort. A leader in the hotel industry, The Disneyland Hotel erected Orange County’s first high-rise in 1961 – the 11-story Sierra Tower, which received a major addition five years later, doubling its room capacity. This tower complex was followed by two others – the 11-story Marina Tower, opened in 1970, and the 14 story Bonita Tower, built in 1979. Today at the Disneyland Hotel, the three towers overlook a scenic inland marina, which since 1970 has been a bustling waterfront playland featuring recreation, shopping, dining and entertainment. An immensely popular feature since its introduction in 1970 is the “Dancing Waters” show. The dazzling production of choreographed fountains, special lighting effects and music is presented twice nightly throughout the year at a crescent-shaped amphitheatre. The entire Disney team is excited that the Southern California resort has rejoined the Disney family. Dotted with meticulously groomed gardens and landscaping, The Disneyland Hotel boasts 16 restaurants and lounges, and 35 specialty shops, many carrying Disney merchandise. Highlighting the lounges is Sgt. Preston’s Yukon Saloon and Dancehall (remember Wrather’s TV show? ), a fun-filled locale built to be reminiscent of the 1890’s Yukon Gold Rush era. Among the Hotel’s recreational pleasures are a three-acre tennis club with ten championship courts lighted for night play, three swimming pools and a palm-laden sandy beach. As it builds on a new era as one of the newest members of the Disney Resort family, The Disneyland Hotel will continue to exemplify the dreams of Walt Disney and Jack Wrather, two friends who had faith that their “risky venture” would succeed. Great article Ryan. And a wonderful place to visit. 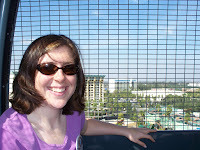 Thank you for teaching us about the Disneyland Hotel - something I know far too little about! 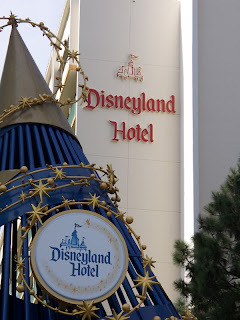 I have a blog on the history of the Disneyland Hotel. BTW-there are three mistakes in the article. Can anybody spot them?